Noir Patchouli is a masculine fragrance by Histoires de Parfums. There are 27 reviews of Noir Patchouli. 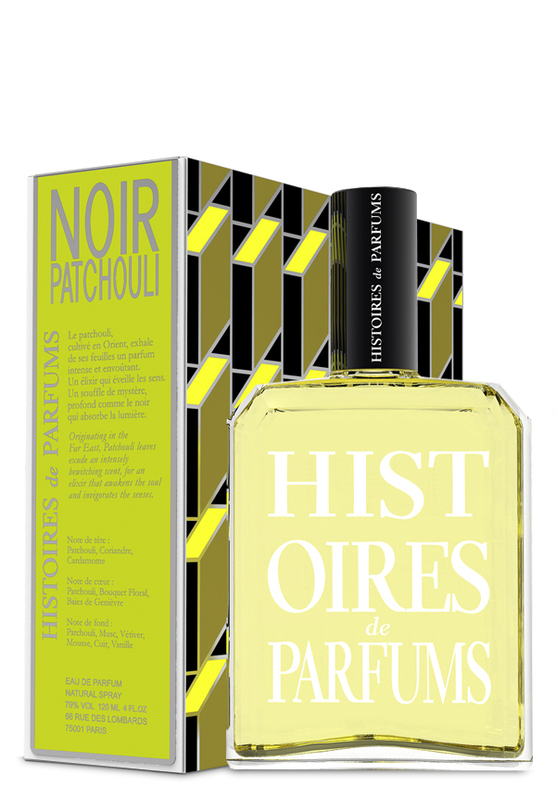 Noir Patchouli puts the historical feel in Histoires de Parfums. It smells mossy to me, so I'm surprised not to see moss listed among the notes. This smells unisex to me - I can clearly imagine it working for a man or a woman. It smells natural. There's a soapy aspect, and a dirty aspect. And sometimes florals peek through (maybe as part of the soapy aspect). It smells like a nice vintage perfume, light and wearable. Patchouli is here in spades, and the quality is nice enough. But: this is so dated, and must have been done a million times before in women's perfurmery. Yes, it's much more feminine than not. Not sure I see the point; certainly little for me. Very mature smell. Spicy, peppery and soapy. There's nothing sweet or fresh here...definitely from another long gone era. Smells like a very clean, well-dressed principal or teacher in his 60's. An excellent and effortless representation of patchouli. The star note is deftly matched to light/cool spices, giving the whole affair a lovely "chilled" vibe: damp and pure patchouli, shimmering cool spice, and a green-ish mossy leather undercurrent. A great alternative to vintage Givenchy Gentleman, albeit an expensive one. The overall tone is cool and a bit more sleek, but it's a pretty close cousin overall. Ok. I am the first thumbs down? Really? Ok. I get lipstick and a slightly stinky powdery note. Turns into a rather floral scent. I get a soapy vibe about an hour in. This is in no way a unisex fragrance. IMO this is a women's fragrance from start to finish. I swear my grandmother wore something that smelled like this. Be warned.... Try before you buy. Histoires de Parfums Noir Patchouli Eau de Parfum 2 oz. There are no member images of Noir Patchouli yet. Why not be the first?